Digital imaging technology forms the cornerstone of our dental practice. Film-based x-ray systems have become a thing of the past. Here are some of the imaging technologies we use to serve you better. Intraoral cameras are used to see parts of your mouth we can’t easily see during an examination. These tiny cameras let us take close-up high definition photos of anywhere in your mouth. They also let you “see what we see” so you can stay informed about your treatment. Digital X-rays have replaced film-based X-ray systems. These modern systems produce very low levels of radiation and they create very detailed X-rays that can be viewed and shared on a computer. 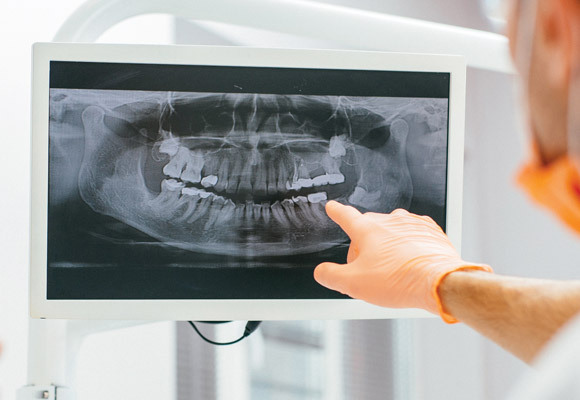 Panoramic digital X-rays can move in a semi-circle around your jaw to take a panoramic image of your teeth and bones. The images they produce are a valuable tool for diagnosis and treatment.